Get down to the home games at Centrals Trinity Beach AFL Club and join in on the fun! 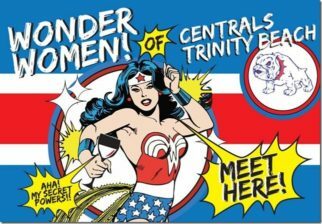 The “Wonder Women’s Marquee” is FREE and for all ladies (and kid-lets) to enjoy. Watch the footy, mingle, network, & meet new friends. Just look out for the signs and get into the atmosphere cause footy at the beach is kinda laid back.